If you were to look for work from home jobs on Google or any other search engine, you’d be bombarded with warnings of scams. Immediately, this can put doubt in your mind and we’ve seen many people steer away from the idea just to be safe. Of course, this is incredibly sad because potentially talented people are sticking with jobs they don’t enjoy rather than challenging themselves on a daily basis. For this reason, we’ve created a list of scam-free work from home jobs. Today, the internet is a place of scams and viruses but it’s also a land of opportunity. With billions of people now having access to the internet, there are more industries and niches than we could ever imagine. Which will you choose? Let’s take a look at some examples to give a helping hand! Consultation, and a lot more. As long as you choose a niche where you can compete with full-time professionals, there’s no reason why you can’t find success. If you choose one of these scam-free work from home jobs, there are two routes from which to choose; assisted or non-assisted. For some, they like to work on freelance websites such as Upwork and Fiverr because the clients are ready to be accessed. With everything all in one place, you can create a profile and get started today. For others, they want to do it all alone and this requires a website as well as the searching for customers. While this second option needs more work to get started, it offers the highest reward. Next up, there’s nothing wrong with the traditional selling of products. In the first option, you would be selling a service but this one is all about finding a gap in the market with a product (or a full product range). For some reason, there’s a common belief that the internet has ‘changed’ the world. For us, we believe it has just moved certain industries to a new platform. These days, we like to shop online because it’s convenient and our orders come straight to our door; you can take advantage of this. Before deciding where you want to create a business, you first need to choose what you want to sell. Will you be selling handmade products? Will you work with manufacturers and sell on their behalf? Perhaps you want to buy second-hand items and make a profit from them? Once you know what you’re selling, you’ll then know your options of where to sell. As you might imagine, there are several options available for every niche. Just as we saw with freelancing, you’re likely to have the dilemma of choosing to work with a website or creating your own. If you choose an easier pre-existing website, the consideration will move towards where to find your audience. Today, we have the likes of eBay, Etsy, Amazon, Shopify, and more. Although we’ve already covered freelance scam-free work from home jobs, there’s one becoming more and more popular every single year; customer service. As we’ve already said, the business world is getting seriously competitive with startup costs reducing. In order to keep costs to a minimum, businesses are therefore choosing to outsource the customer service side of their operation and this is where you come in. As a freelance customer service agent, you’ll be the first point of contact for your clients. 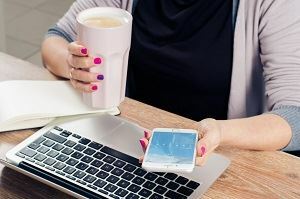 Rather than their employees wasting time on customer service, you can deal with initial emails and perhaps even phone calls so the business can focus on the more important matters. When you feel as though the conversation needs to be passed on, this can be done but it saves precious minutes dealing with sales calls, initial interest from potential consumers, and other calls for the company. Initially, you might be surprised to see blogging in our list of scam-free work from home jobs and this is because most people will tell you just how saturated the market is these days. However, there’s a huge difference in numbers between the number of people blogging and the number of people blogging well. 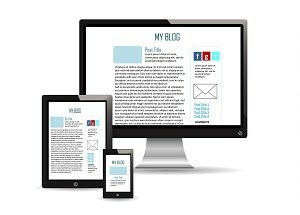 If you post regularly and have something to offer your audience, it won’t be long before you capture the imagination; you only need a tiny percentage of the 3.2 billion people online to make a blog work. Once you recognize your opportunities in this market, there are many reasons to like blogging. Firstly, there are now some amazing platforms that help you by not only aiding the set-up of the blog but also by teaching you how to progress through the different stages. Once you’ve chosen a platform, you can write about absolutely anything (assuming you find the balance between a topic in which you have interest and popularity). After this, there are so many ways to make money. And becoming a leader in your niche. 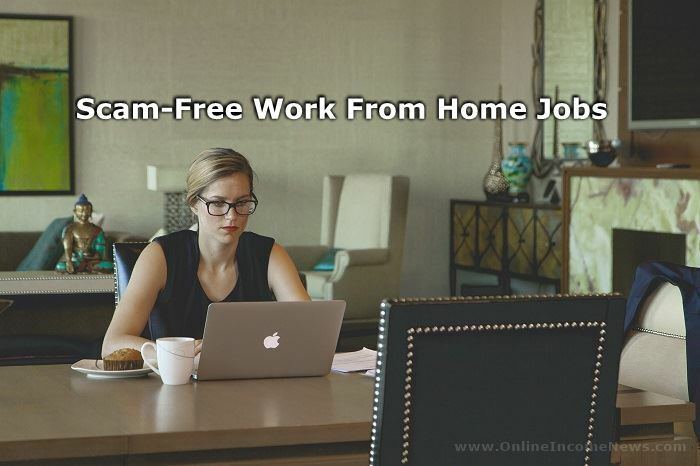 When discussing scam-free work from home jobs, it’s hard to avoid the small task websites and platforms that allow you to earn money for almost nothing. If you’re looking for a new career and something that has longevity, these won’t be the best because earning is limited and it doesn’t require any real skill. This being said, it allows you to earn small amounts of money while building a business or just to supplement your income. In truth, we could split this section down into two types of website; one that connects buyers/sellers and one that requires simple tasks. With the first, the tasks could include translating a piece of text, checking the price of a product in a store, taking a photograph, or perhaps completing some simple coding for somebody else. With the second option, we have the likes of Swagbucks where money is earned through watching videos, playing games, downloading apps, taking surveys, and more. All in all, there are many scam-free work from home jobs and we hope to have provided you with an insight today. In 2018, technology is becoming more expansive and this is allowing businesses and customers to meet on more platforms. If you want to make 2018 your year, now is the time to start in whichever niche best utilizes your skills. This year, you can work from home and enjoy a more balanced lifestyle! I hope you enjoyed this post and if you have any questions about scam free work from home jobs or you just want to leave your own personal experience, leave a comment below. I would love to hear from you! I am actually in search of the extra income, that I can do from home. I was actually looking into freelance writing and the websites you posted will be definitely a great start for me. 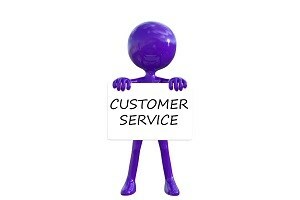 I never knew that it is possible to be a customer service rep from home? Do you know any of the companies that are using that option? Blogging looks appealing to me too. Hi Anna.. thank you for dropping by and taking the time to comment. Anna there are many companies that offer work from home customer service positions. I suggest just Google “work from home customer service positions” and you will find many sites. Anna if the idea of making money by blogging appeals to you then please understand there are 3 componets to building a successful online business and they are Education, Websites and Expert Help. These 3 things can be found in my #1 recommended program. The best part is you can start with the Starter Membership which is completely free. This will include their own niche website, a website builder and training that will walk them through the entire process to get them up and running online. Hi Moni, what are some of the companies that have work at home customer service positions? Hi Fen… thank you for dropping by and taking the time to comment. Please visit http://www.indeed.com where you will find some work at home customer service positions. If you don’t find anything on the site that attracts you then just Google “work at home customer service positions” and you find other options.